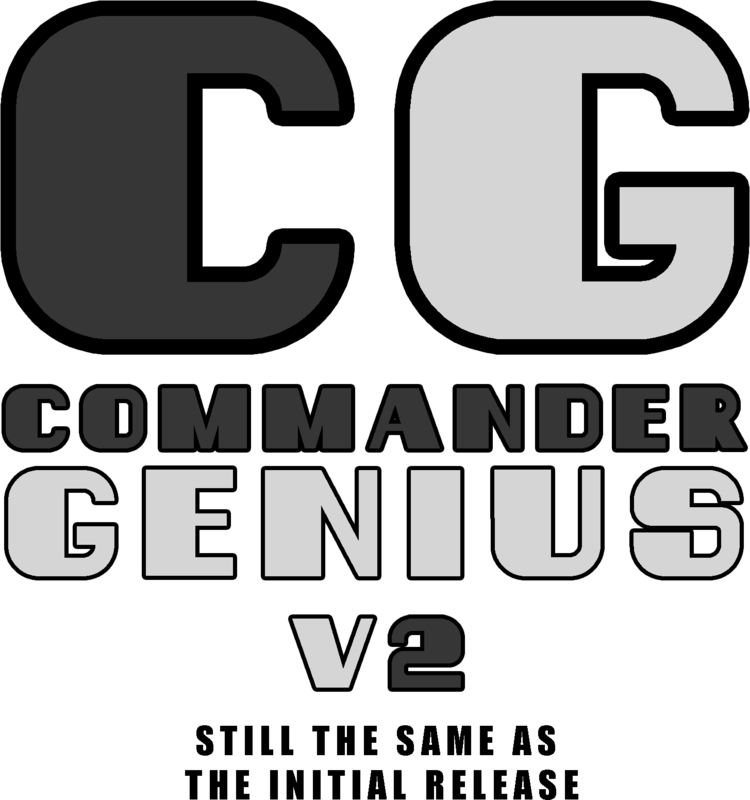 Since I have been investing some months into Version 2.0 in order to make this a more "Release" than "Beta" I was thinking into creating a new Commander Genius Logo. Because it will be 2.0 I want to celebrate this occasion and spend a bit more afford into this. It is nice I really like it, but I am looking for something that matches the so called flat/material design of this era. Because Version 2.0 should be considered a jump to a better world another Logo would be nice. If someone has an idea or design let me know. Of course that person will credited for his hard work. Maybe something like this. Though I think it's a bit too busy at the moment and needs a lot of work on the shading. @Commander Spleen: Very fresh I love it! The latest one is something I could imagine as app-icon on the smartphone. The colors remind me a bit of Keen 4. Maybe we can rework on it and give it more identity. What do you think? Indeed, smartphone app icon is what I had in mind. Do you have any specific suggestions as to what you think would give it "more identity"? Are you trying to keep one icon for everything or a separate design for the phone app with a second general purpose logo? I think the program needs something that actually represents Keen rather than just the letters, which I think this basic concept does well. The blue background colour doesn't entirely suit it but I couldn't get anything else to look right with this design so I'll make some more adjustments until something fits. 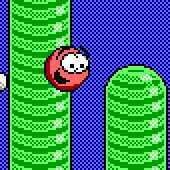 Maybe it could do with a tilted 3D look like the current one, and giving it a square pixelated style instead of smooth curves may better portray the retro game element. This would be moving away from the minimalist "flat material" look you originally mentioned, but it may be preferable to have it stand out against the trend rather than trying to blend in. To be honest I am not sure if it is the identity. The colors really are fine. I like them. What I did not see is the letter "C" at first glance. I saw the "G" and by knowing it is "CG" I noticed the "C" letter afterwards. I cannot explain why it is, but my wife also thought the same saying: why only "G" at first and did not notice the letter "C" at first sight. Maybe the color of "G" draws too much attention, not sure. Maybe Billy could take part of it or the helmet somehow. We can get rid of the letter, if you think that would be better. The plan is to have only one icon (SVG) and use it for everything. I would take your logo and use in the PC version, Android versions, Website, everywhere and forget about the old one. The design doesn't have to be flat/material, it can be retro and squared. We can use what you created, with the adjustments you are planning, but if you have something better, I also would take it. gerstrong wrote: What I did not see is the letter "C" at first glance. I saw the "G" and by knowing it is "CG" I noticed the "C" letter afterwards. I cannot explain why it is, but my wife also thought the same saying: why only "G" at first and did not notice the letter "C" at first sight. Maybe the color of "G" draws too much attention, not sure. Right, I see what you mean. It's like making levels--sometimes you can't tell what's obvious to other people when you're designing it. gerstrong wrote: Maybe Billy could take part of it or the helmet somehow. We can get rid of the letter, if you think that would be better. Including the acronym is fine. I mean that it should have something more to it than just that. I have about a week of travel and work and family stuff coming up, but will make some time after that to tweak it some more and experiment with some alternatives.